Arguably more print-based than the sciences and social sciences, the humanities are nevertheless also experiencing the effects of digital technologies. At the epicentre of change are the digital humanities. The digital humanities have been around at least since the 1940s,1 but it was not until the Internet and World Wide Web that they came into their own as emerging fields with their own degree programs, research centres, scholarly journals, and books, and a growing body of expert practitioners. Nevertheless, many scholars – particularly in literary studies – are only vaguely aware of the digital humanities and lack a clear sense of the challenges they pose to traditional modes of enquiry.This essay outlines the field, analyses the implications of its practices, and discusses its potential for transforming research, teaching, and publication. 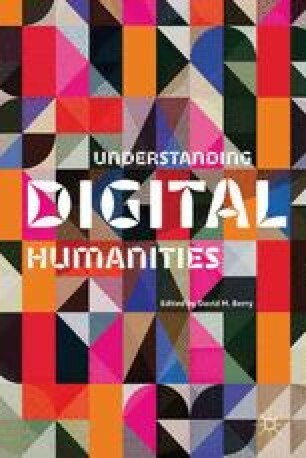 The essay concludes with a vision that sees the digital humanities revitalising the traditional humanities, even as they also draw on the traditional humanities for their core strengths. Christen, K. (n.d.) Mukurtu: Wampurranrni-kari. http://www.mukurtuarchive.org/.